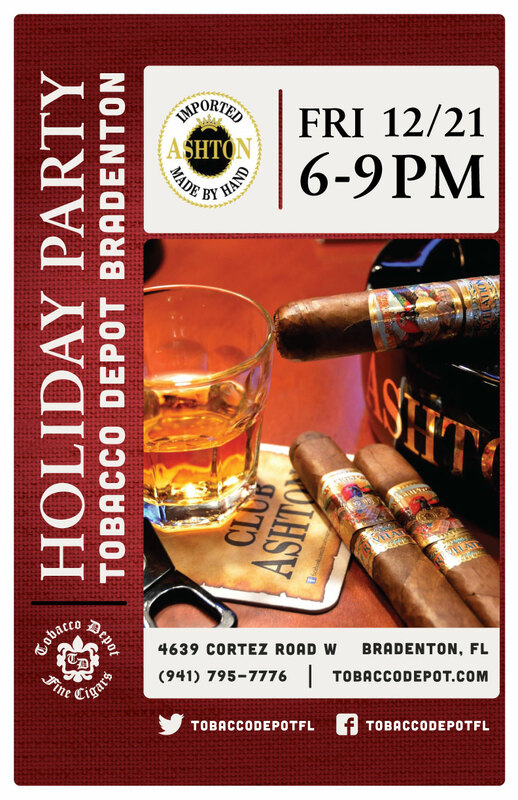 Deck the halls with jolly smokes at the Ashton Holiday Party at Tobacco Bradenton on Friday December 21st from 6-9PM. Enjoy an evening with your local cigar enthusiasts and fill up the humidor for the holidays. We look forward to seeing you there!